Carnival Cinemas is eyeing the remote areas of Saudi Arabia to open up 500 screens spanning in the next five years. There’s ample good news for movie lovers in the Kingdom. Two more cinema chains have recently announcing their plans to open approximately 500 screens in even remote areas of Saudi Arabia, thus making the movie future brighter, especially for those who aim for digging gold from the nation’s profitable box-office market. PV Sunil, who is the Managing Director of Carnival Cinemas, which is one of the fastest-growing and biggest multiplex chains in India said that Saudi is a huge country. Because of that, there is an opportunity for all the players who want to operate here and also co-exist harmoniously. Though there is going to be a lot of competition in this market from the global operators who are all set to do business in this exciting cinema market. During the inaugural MENA Cinema Forum, which took place in Dubai recently, Sunil shared that Carnival Cinemas is going to soon open about 500 screens across the country spread in the next five years, especially with a focus on the remote areas. He also confirmed that they are in a position to obtain the operational license, and they already have the required distribution license. However, as soon as they get the operational license, they plan to start the opening of the multiplexes in the Kingdom. Then there is Novo Cinemas, which already has 11 screens in the UAE and also one in Bahrain; it has also announced that it is considering starting its business in Saudi Arabia. The coming times would see partnership deals happening with both, which have resulted in four licenses already being awarded to big cinema operators since Saudi Arabia officially ended a 35-year ban on cinemas beginning this year. As of now, there are some theaters in Riyadh, although VOX is planning to open a few in Jeddah by 2018 end. Debbie Stanford-Kristiansen, who is the CEO of Novo Cinemas, which is headquartered in Dubai, shared that the company plans to open its first cinema screens in Saudi Arabia in 2019 end or last quarter. She feels that Saudi is an important market, and Novo Cinemas, which started in the year 2000, is a leader in this business in this region and it is only apt for the company to now step into KSA. 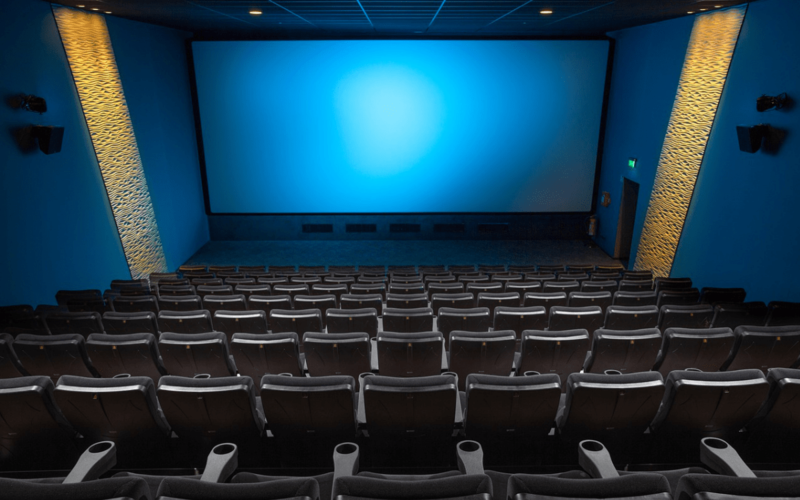 As per the latest research conducted by PriceWaterhouseCoopers (PWC), the total number of cinema screens is going to shoot up by 38.4% to 1,800 in the MENA region in the coming three to five years. More than $3.54 billion worth of investments in cinema screens across the Kingdom is forecasted to boost this industry’s expansion plans. Ashish Shukla, who is the CEO of Cinepolis Gulf, shared the expansion plans on the occasion of the MENA Cinema Forum. Earlier in 2018, Saudi Arabia approved its fourth operational license for adding new screens to Lux Entertainment, which is a joint venture between Cinepolis, the largest cineplex chain in Mexico, Al-Tayer Group and Al-Hokair Group for Tourism and Development. Lux Entertainment has plans to open new 300 cinema screens in around 15 cities in Saudi Arabia in the coming five years. Some more licenses have been given to AMC Theaters, which is an American chain owned by the Wanda Group. They plan to open 40 new cinemas in 15 cities in the Kingdom over the coming five years, and anywhere between 50 to 100 screens in around 25 cities by the year 2030. VOX Cinemas, which is one of Saudi Arabia’s biggest movie chains, is planning to open 600 new screens by the year 2022, whereas the Al-Rashed United Group – Empire Cinema is also planning to start 30 new cinemas in the nation in over the coming three years. Cinepolis, which is one of the largest global cinema operators, currently has 5,371 screens and around 1.1 million cinema seats in almost 15 nations. Ashish Shukla was of the view that the Gulf is one of the biggest growth opportunities for the company as the Kingdom is on top when it comes to the investment potential. Cameron Mitchell, who is the CEO of Majid Al-Futtaim Cinemas, whose subsidiary is VOX Cinemas, said that the Kingdom will soon experience many exciting developments and additions in the film industry, such as the enhancement of locally-produced content and films, and also international Hollywood filmmakers using the Gulf as a destination for filming. He also mentioned his excitement about their Riyadh Front location, The Roof, and also the opening of the Mall of Saudi, which will soon be the best cinema in the world. Earlier in 2018, VOX had signed a much-talked-about distribution deal with Myrkott, which is the Saudi production company involved in YouTube animated series “Masameer” which has as of now attracted over 700 million views across social media. Mohamed Al-Hashemi, who is the country manager for Saudi Arabia at Majid Al-Futtaim, said that the Kingdom’s market is special because of a couple of reasons; first, because of its population and the purchasing power and second, because it is a virgin market. UAE has already attracted Hollywood movie makers to shoot some of the blockbusters such as “Mission Impossible: Ghost Protocol” and “Fast & Furious 7,” Al-Hashemi is positive that now movie producers would consider the Kingdom for its shoot locations. Arturo Guillén, who is the vice present for EMEA and India for movies at comScore (an analytical organization that analyzes cinema trends), said that Saudi is currently becoming the centre of attention of all the global cinema population. The main reason for this is the huge potential of this market to reach the Top 10 market slot globally in the coming five years. This means global box-office earnings of around $1 billion per year. Seeing these numbers, Saudi can definitely be a competition to Hollywood soon.